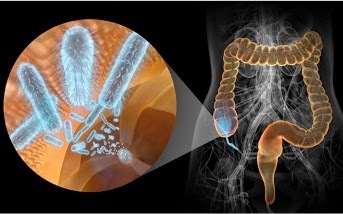 Dysentery is an infection of the gut caused by a bacterium called shigella. Shigella sonnei is most often responsible for outbreaks in the UK. S. flexneri, S. boydii and S. dysenteriae are also causes. * Watery diarrhoea, sometimes with blood and mucus. Outbreaks of dysentery are more likely in overcrowded areas and where poor hygiene practices exist. It occurs in all parts of the world and affects people of all ages. Schools and nurseries are particularly at risk. * Wash your hands after using the toilet, after contact with an infected person and regularly throughout the day. * Wash your hands before handling, cooking and eating food, handling babies and feeding young or elderly people. * Keep contact with someone known to have dysentery to a minimum. * Wash laundry on the hottest setting possible. * Avoid sharing items such as towels and face cloths. In general, rest and drinking plenty of fluids are all the treatment that's necessary. A person shouldn't return to school or work until they've been symptom free for 48 hours. Sometimes antibiotic treatment or admission to hospital for intravenous therapy is required.